Disclaimers: LEAR graciously provided the two samples for this review and even threw in art work. This came at no cost to me. Lear’s earphones landed in Nagareyama in early July. They came in a tight cardboard box. They were handed me by a sweating courier who still can’t remember my name. It’s okay, I just call him K. Two weeks ago it was 43º in the Tokyo area. Not a single one of my custom earphones could stay anchored in my ears. Sweat, it seems, is heavier than acrylic. 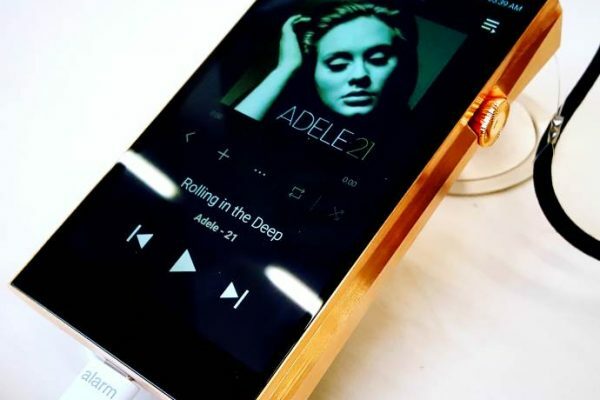 The Hong Kong company have yet to rend a LEAR-shaped hole the heart of bleeding heart audiophiles. The Lear BD4,2, an earphone that puts to good use two dynamic drivers and four balanced armatures, may just be the auger that works its way to the ol’ gusher. It comes in a custom version, which goes for a heavy 9.998- HKD, or about 1.300- USD. The universal version goes for 8.888- HKD, or about 1.150- USD. This is the big league. Both units are identical in function and technology. One of the unique things Lear BD4.2 boasts is tuneable acoustics via a screw drive. After that, there’s the metal treble/mids tubes that keep the acoustic transmittance of mid to high frequencies clean. The tube extends all the way to the driver bundle, something done by a very very select few custom earphone manufacturers in the industry. LEAR ship both earphones in an unassuming black cardboard box. Inside it is a sturdy Otter box, and inside that, a little candy bag full of parts. There are also earphones, an elastic band, a cleaning tool, and a nicely laid-out manual inside. LEAR’s implementation of the traditional UE/Westone-style two-prong coaxial cable is good. It is robust, well sheathed, and comprises dual twisted strands, each contained in its own reinforced skin. It is highly flexible, resistant to touch noise, and resilient against the deleterious effects of sweat and body oil. I expect that BD4,2 owners will have their cables for a long time. And then there’s that memory wire. Worse cables exist. The Primo 8’s cable is a bloody pain to use. Still, for the entirety of this review, I made use of Linum’s excellent BAX and voice cables, which I find infinitely more comfortable. BD4,2 boasts four sound tubes. As explained above, two are metal. They kick out mids and highs; the plastic ones handle lows and upper mids. And by god, each does a wonderful job. Rin Choi’s review illustrates to what extent sound can be tweaked merely by blocking one or more of BD4,2’s sound bores. Unlike the Shure SE846, tuning the BD4,2’s sound is done by turning a screw drive. Twist it to the right and up goes the bass. Twist to the left and down it goes again. Stop it anywhere you want for BASS or bass. There are about 300 degrees of room in which to wiggle. Neither earphone is low profile. 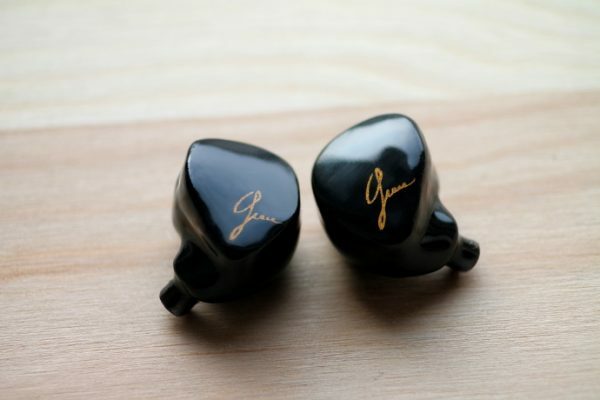 The custom version dwarfs both the svelte Earsonics EM32 and the Vision Ears VE6. Closest in size to it is the Noble Audio K10. That said, BD4,2’s workmanship is a clear step down from Vision Ears’s immaculate work, and its artwork pales next to Noble Audio. LEAR printed both of my conspicuously self-serving logos, ‘ohm’ and ‘Ω’, on what appears to be a bit of cellophane below the final lacquer. From a distance, the differences are minor. And considering the price difference between LEAR’s flagship products, and that of its contemporaries, a bit of cellophane isn’t worth ho-humming about. But details do stand out. And for 1.300- USD, better options exist. Other details that stand out are slight: intermittent inconsistencies in finishing coat, divots here and there, and excess plastic filings stuck to the acoustic tuning port. While structurally, BD4,2 may be as sturdy as many of its rivals, its presentation is decidedly inferior. I have one other gripe. The first is that neither the bass nor the treble ports are large enough to wiggle the metal edge of the wax loop into. If your dirtiness clogs the bores, you’ll have to use the less precise brush end to clear out gunk. And if you are an ex-Swede sweating it out in a part of Asia that recently hit 43º, I guarantee your BD4,2’s will gunk up, in which case, you will have tried one of Rin Choi’s experiments. For the sods cursed with a leaky body chemistry like mine, the BD4,2 is a bugger to clean. As mentioned above, neither BD4,2 is a low-profile earphone. The custom version peaks over the edge of my conchas by about 3mm. The universal version is roughly the same size as the FitEar ToGo! 334, and is just as unwieldy. In my ears, the universal version leans ‘out’, never resting against skin. It relies completely on the ear piece to stay put. That aside, comfort is high. In fact, because I’m free to use any ear tip I want, I am tempted to say that summer comfort can be even better than a custom earphone. It is great to have options. Naturally, sound varies depending on the ear piece used with the universal earphone. Funnily enough, my favorite ortofon e-Q8 ear pieces and the BD4,2 don’t play nice with my ears. Therefore, I am using medium stock tips. The problem for me is that after thirty minutes, they become uncomfortable. But then I have sensitive ears. Otherwise, the tips are well-made, and fit securely. Continue to the next page for sound impressions. I have the Shure SE846 and I am considering getting my first pair of CIEMs soon. Could you please compare briefly the Shures vs Roxanne, Noble K10 and this Lear model? I listen mostly to modern music (no jazz, no classic), lots of electronic stuff, so I enjoy a powerful bass, but also nice mids and treble, also a good soundstage. 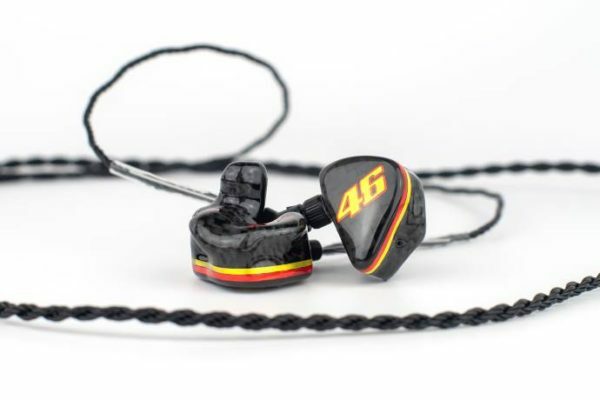 Are they a worthy upgrade from the Shures? (Source is a Chord Hugo, btw). Thanks for chiming in. Alas, Roxanne, Shure were returned long ago. If you’re really into velvety mids, Roxanne. If you’re into a bit of tweaking with incredible resolution in every part, and don’t mind massaging a finnicky relationship with ear tips, Shure SE846. I’m not finished reviewing the K10, but I can say this: it is the closest to the Lear in terms of presentation. Both are somewhat laid back in comparison, neither hot in the mids, nor ultra detailed in the bass. But the Lear is ever so much more smooth in the midrange while embodying a much more compact feeling stage. Jazz really really is great with the Lear. In fact of the above, it’s hard to say which is best, but I’d put Lear and Roxanne on a level. If you’re keen on electronics, I think Lear has the edge over the Roxanne, but the Shure and the K10 to my ears beat the Lear for electronic. For me, soundstage width and apparent precision are king with EDM/IDM/trance. The BEST part of the Lear is that they are not that difficult to drive. A Hugo, as great as it is, is absolute overkill. I think with customs, the number one factor is refits or reworks so it is imperative to see how many of these the manufacturer allows and within what time frame. I shall not name brands but check with friends who have the brand you are interested in, how many times they needed refits. Probably I should mention that from now on. I had no trouble with the Lear, but I suspect that another of my ear impressions was misshapen. So far, great service on every one of my customs, both for review and personal. That’s where cosmic ears fit service shines. It adds a fair bit of time to the process but is well worth especially for newbies. So would you say that overall the K10 would be better for generally different types of music and has the edge over the Lear for EDM and Trance due to the width and precision of the soundstage? I loved the Velvets on the balanced mode btw, didn’t really like the warm mode. I’m having such a difficult time deciding between the Lear, V6 xcontrol and the K10s based on your reviews. What I’ve gathered is that k10s are organic and based for more jazzy like genres and on the warm side, Lear is the most balanced and works better across all genres due to the neutral signature and the VE6 is neutral but may sound a bit thin with vocals being a bit thin or recessed in comparison to the other phones? I also like to listen to a lot of British alternative rock like arctic monkeys, franz Ferdinand etc. If you value sweetness more than neutrality, the K10 is probably a good bet. If you value neutrality first with a hint of softness and ultra-smooth transitions, the Lear is the ticket. And for british alternative rock: it’s either the Lear or the K10. My preference would be the Lear, but only by a hair. Fantastic! What awesome response time and equally awesome answer. That helps me out a great deal! Just wanted to say you’ve got a really nice website and have been pumping out numerous reviews in good time. Good review and nice looking ciems Nathan. Btw. I’ve got a question at you guys. With 300$ what should I buy? shures se series (se425, se535) sennheiser (ie8,ie80) or go above a little higher and going with cosmic ears… was ready to get 1964ears, but yeah a little to expensive right now. Prefer a neutral, maybe warm setup with great precision and a good bass (quality over quantitiy) highs are normally good enough, atleast for my ears. Those are all very good choices. You’ve done yourself in by putting them all up. SE425 is a win-win earphone for sure. IE8/80 are nice if you can find good fit. I personally prefer other earphones, but that is just me. If you dig warm and liquid sounding, SE535 is great. If you want more space and a drier presentation of warmth, the Senns are great choices. thanks for replying ohm, will go with se425. I’m mean a win-win can’t be ignored 😉 Hope to see/hear more of your review and podcast – P.
New podcast coming this week… and plenty more reviews from L, me, and everyone. Thanks for the heads-up. Time pasts really fast. But I just wanted to let you know that I went with the shure se535 and a unknown brand named audiofly. 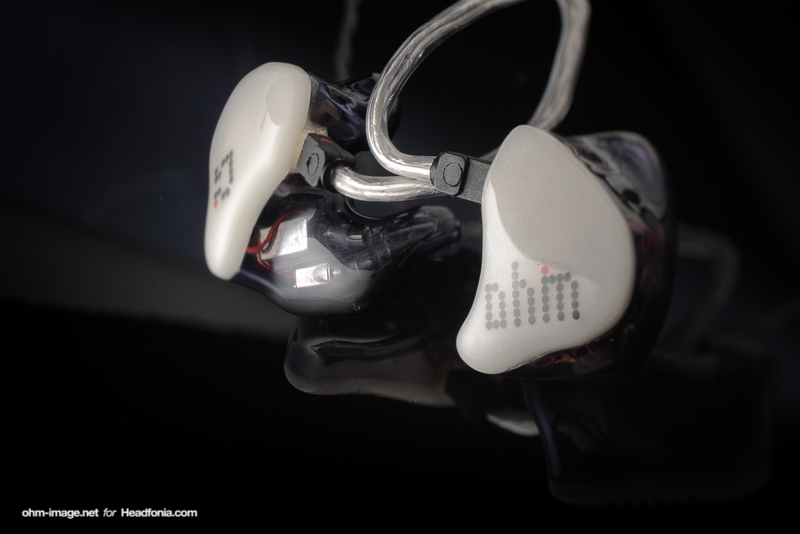 Their quadrable ba in-ear af180 took my interest and both do their job excellent at universal iems. By the way, Patrick, I’m Nathan. Did I mistake you for someone else Nathan? I’m confused right now. He just said he is Nathan because he posted with his ohm air account and not his personal one. May I ask where you are from? Somewhere in Europe I am guessing. To be precise in the heart of west europe 😉 Switzerland – chocolate and cheese L.
I like how my branding is all whack. You’re calling this my ‘ohm air’ account, not my ‘ohm image’ account. Actually, I think I don’t have a ‘Nathan’ account. Not sure I should, either. Thanks for replying Nathan and another quesiton, what happend with mike? Last summer I read my first article on this site “Philps X1” and now it is like he isn’t here anymore. Do you guys know something? Mike runs the headfonia store and I believe another as well. That, quite understandably, takes up most of his time. I wouldn’t rule out the possibility of seeing a guest spot by him at some point, but L took over running the site as Mike’s attentions are else where. L and Nathan are doing a damn fine job of it, too! Thanks for telling me those information dave. I really appreciate it. And yes L and N are running this website really frequently, can’t get enough. Good to hear, if he has fun, we shouldn’t interupt. Now I’m curios what he’s guest review will be and also “guest review” have we the reader a possibility to release a article about a hi-fi gadget? I’m thinking about speakers. I know a specific route, but it would be pretty interesting what you think. Don’t worry it was just a idea, mabye in the near future about a product who hasn’t got much attention. Hi Lieven is the reader review still a thing? I have a pair of Audiofly AF180 and Shure SE535 with my Fiio X3SG and X5 as portable dacs, a stationary amp (alpen+qugir) and a classic ipod. Different genres, aftermarket cables to talk etc. Found this thread by coincidence after checking my disqus account. So is the BD4.2 the king for Trance? Or is the UM Merlin, 1Plus2, K10, VE6, EM32, Primo 8? Hello Shoghi, I’m sorry but I don’t own the UM Merlin. That aside, I can say without hiccup, that if trance for you is about contrast, the VE6 is your ticket. If it is about bass and its filtering into mids, the EM32 is it. If you are into other genre as well as trance, the BD4,2 may be awesome. Ditto the K10. But trance alone, the BD isn’t king. VE6 is. in 2018 still recomended for 850 dolars? Still an incredible earphone today. in massdrop noble kaiser price is 899, i listen frank zappa, mew, yes. i think lear could be better, what do you think? my last iem was inear sd 3, i want an update.